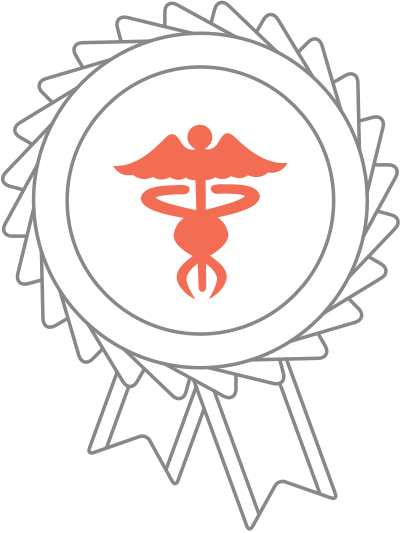 Trusted by over 100,000 Medical Students. Confidence has been designed to make revising enjoyable and easy. 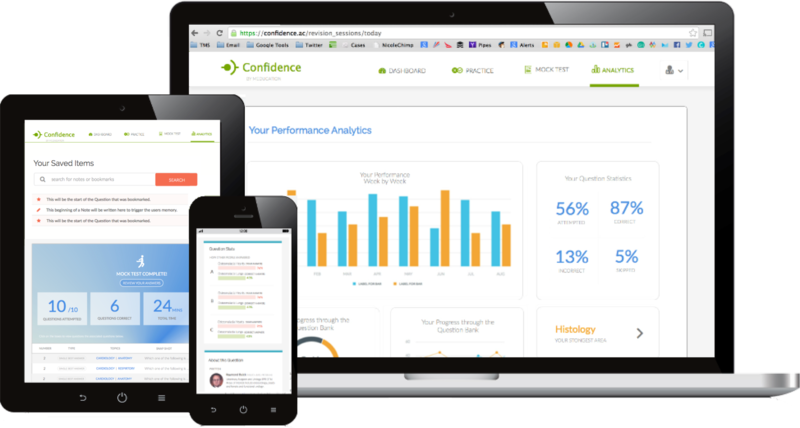 From your personalised dashboard to our in-depth analytics, you'll find using Confidence takes the stress out of revision. 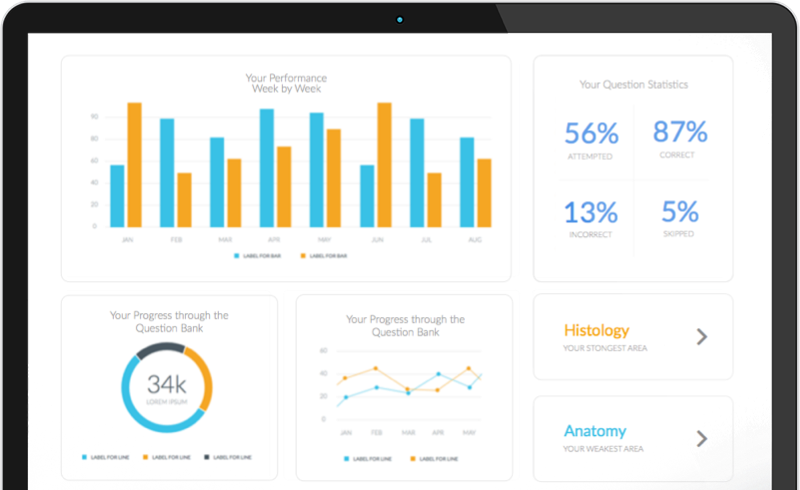 Work your way through over 3500 questions, each with a comprehensive explanation, peer comparisons, and suggested reading, mnemonics and videos from Meducation. Mock exams are a great way of testing how well you'll do under exam conditions. Select the topics and question types to match your upcoming assessment, then practice against the clock with no interuptions. Your personal statistics page gives you a clear overview of how you're doing. View your progress through the whole question bank as well as letting you explore your performance on individual topics. Each question show how well you're doing compared to those who have come before. With our questions attempted over 1,000,000 times, you can trust our stats to give a clear idea of how you're doing. Doctors, Medical Students and Educators. Our Medical Team is made up of a wide range of individuals, including medical students who are taking their exams today, top educators teaching at UK universities, and senior consultants at the top of their fields. Together they have written and moderated the thousands of questions that you can use in Confidence today for free. Check out their cunning challenges and expert explanations. Join thousands of other medical students and use Confidence to pass your exams.